Disclaimer: The MrSpeakers Ether C Flow V1.1 Upgrade Kit was sent to us a sample in exchange for our honest opinion. We thank MrSpeakers for this opportunity. 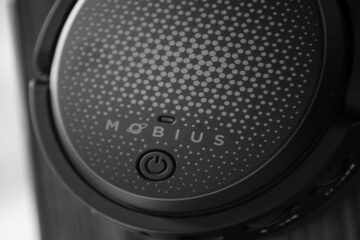 To learn more about MrSpeakers product reviews on Headfonics you can click here. 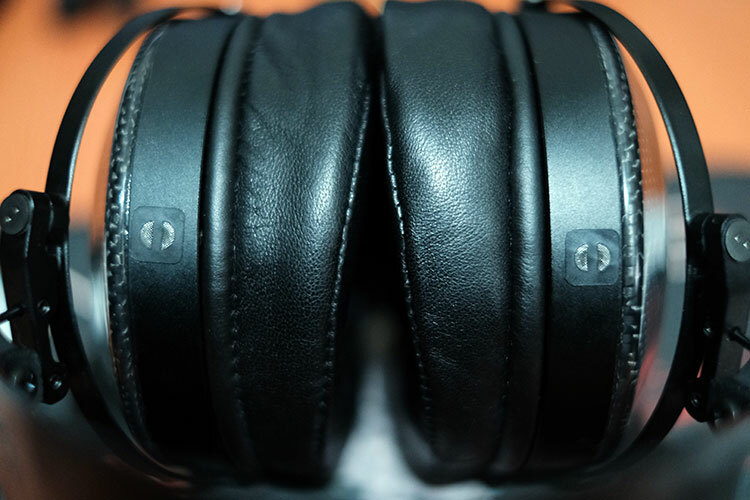 The price of entry to flagship headphones of late is increasingly ‘taxing’ on the wallet. I remember when the Audeze LCD-2 first came out at $999 about 8 years ago and people gulped. Now it is hitting $4-6000 for the likes of the Utopia and Susvara. Thankfully, the sound quality on most of these summit-fi headphones are pretty darn good and getting better all the time. However, to get better you have to sell your old headphone and buy a new one. That can be an expensive and risky exercise. 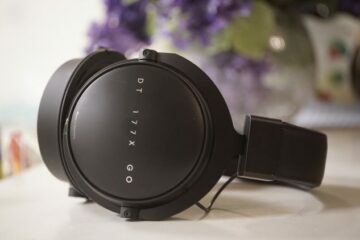 Which is why I like MrSpeaker’s approach to improving the quality of their existing headphones without breaking the bank. Dan and his team have consistently done the “mod” thing since the Mad Dog and done it cheaply. Just about every headphone they have launched apart from VOCE has had some sub-$50 mod kit that changes the signature. 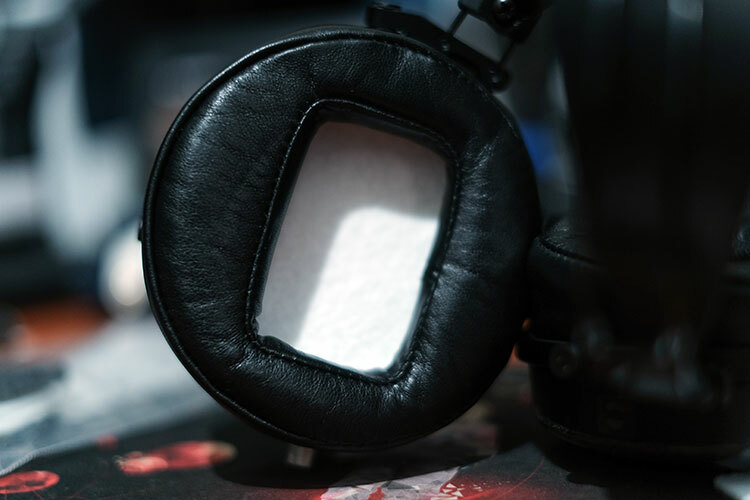 Headphones such as the Ether, Ether C, and the two AEON flow headphones all have a little foam pad kit that helps you shape the sound to your preference. Roll-on 2018 and here we are again with a new flexible tuning mod kit and this time for the Ether Flow series. It costs just $29.99 to get the upgrades which is peanuts for flagship headphone sound upgrades these days. The one we have here applies to the Ether C Flow or the closed back edition but you can get a similarly priced version for the Ether FLow edition of their website. Inside the bag, you get a number of things and none of it requires any expertise to install or tool. You simply need to follow the instructions guide and a steady hand with a good level of lighting. 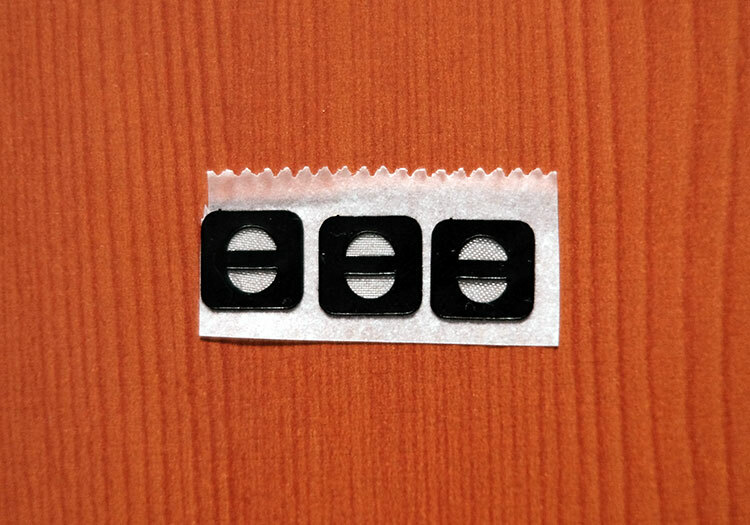 Included are three sets of differing material pads in black and white for each ear cup, 2 decals for placing on the base of the cup behind the pads. 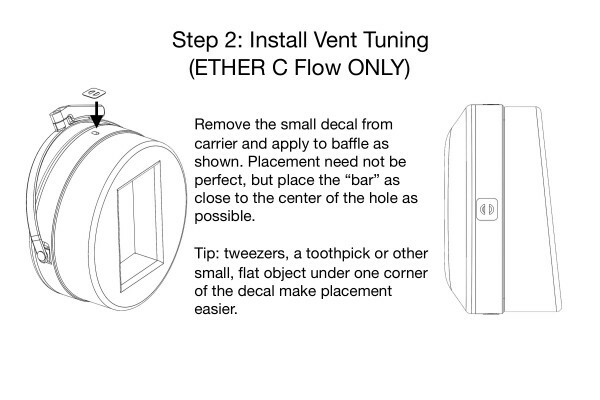 For the Closed Flow, you also get an additional set of baffle vent tuning stickers. 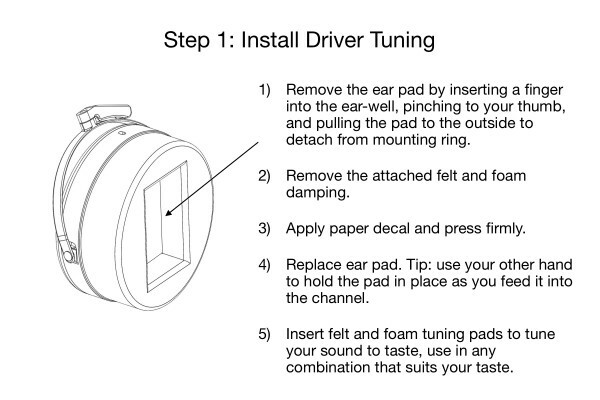 What Does The Tuning Kit Do? Essentially the mod kids bring the Ether line-up into line with MrSpeakers modding philosophy much like the AEON headphones. All new Ether headphones now come as V1.1 as standard. This allows existing owners to upgrade their Ether’s without having to sell their old one and buy a new one. MrSpeakers have pitched the mod kit as offering a larger soundstage, a better level of resolution as well as a smoother bass to midrange transition on the C Flow. Now if you have been inspecting a lot of measurements out there on the C Flow you will notice that almost all of them pick up on a largish dip around 100-200Hz before it steadily elevated into the midrange. The tuning kit is designed to smooth out that dip a bit more so the low-end and midrange sounds transition is a little less “disconnected”. There are a set of pictures to help you get a quick understanding of how to install them. It shouldn’t take longer than about 5 mins per side and it is very easy to do. My only advice is to make sure you have a good level of lighting to avoid dust and hair slipping into the drivers during the install and to ensure the stickers are all aligned properly. Here are a few of my own in-process installation pics just so you know exactly how it should look at key stages which I think helps alongside the official side. I would advise stating with the baffle vent stickers, then moving to the paper damping labels after. Putting on the baffle vent stickers is a little tricky to get just right so I advise using maybe a set of tweezers to align it over the hold before pressing firmly on the label to make it stick. Note the paper decals are channel agnostic meaning doesn’t matter which side you put them but do make sure you do get the top and bottom right as they are not symmetrical in design. Inserting them is quite simple. Just use the screw heads as a guide and lay is softly at the bottom and let it drop slowly all the way to the top. It should naturally align itself and not flop at an angle. Gently press along the lines of the label to make sure it evenly applied after. After that it is a simple case of putting the pads back on by following the guide slowly. Make sure to remember to align the angle wedge to the rear and the inner cup opening vertical when putting the pads back on. Using the pads is dead simple. Just shove them inside the cup and make sure they are evenly positioned to cover the opening and voila, you are good to go. 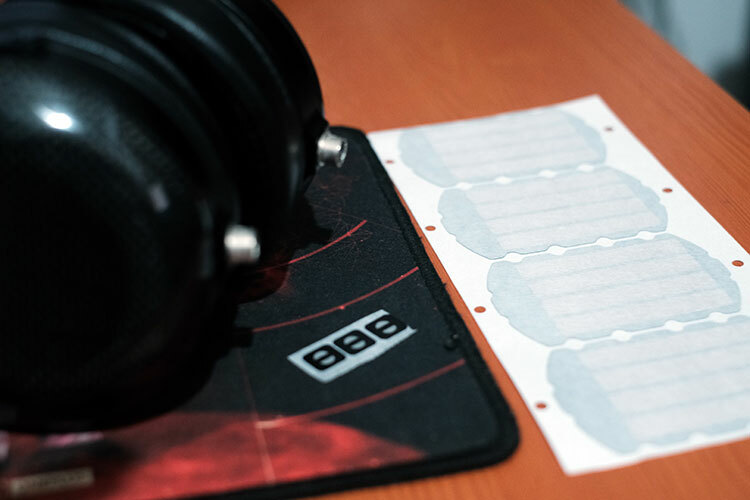 The final sound signature will ultimately depend on the type of acoustic pads you use. The materials seem to be similar to those used on the AEON series though I am sure they are not exact duplicates. 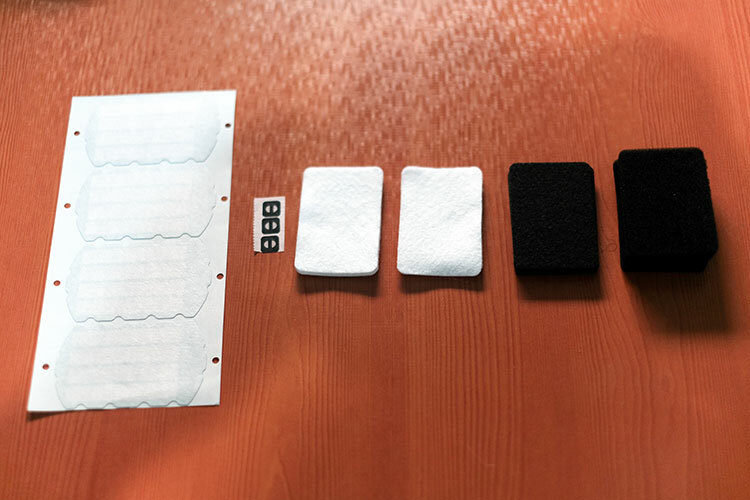 The white pads are softest of the three pads supplied with the black pads made of a slightly coarser and stiffer acoustic material and slightly thinner than the white pads. 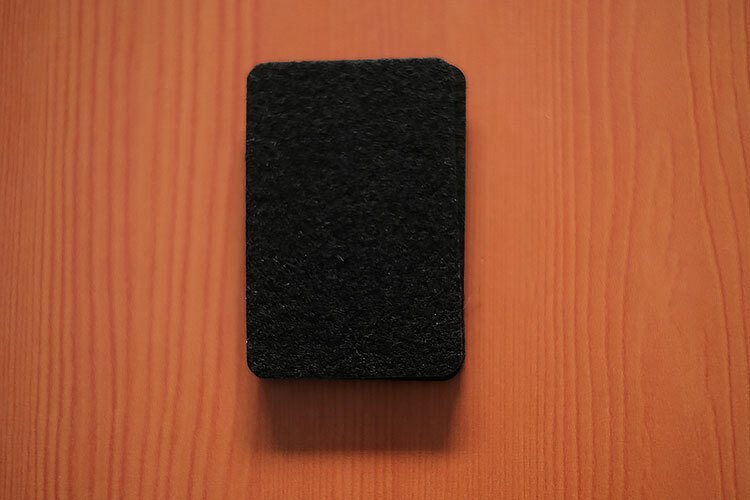 The final set of pads are a thicker foam-like material. 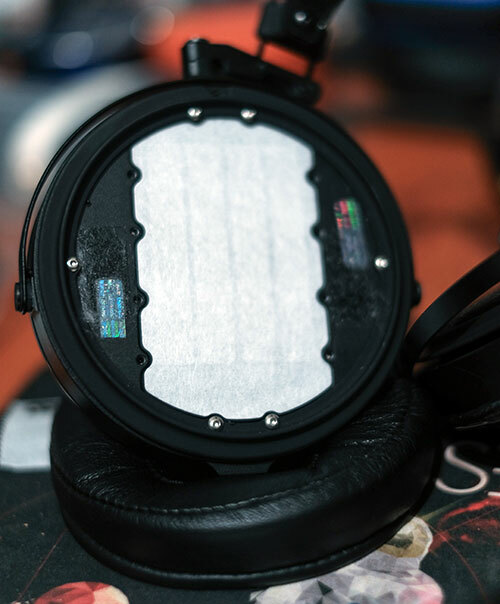 The acoustics stickers on the drivers themselves act as a damping layer that is not as heavy duty as the original foam layers. They will let in a lot more detail and a cleaner sound but you will lose a little warmth in the process without the pads to further modify the final sound. The V1.1 Low-end has been toned down a little, the dip to the lower-mids has also been smoothed out over the original Ether C Flow. The flatter mid-bass quantity allows for a greater lower-midrange presence and improved instrumental clarity. This new Ether C V1.1 presentation is much more coherent than before and whilst I wouldn’t call it a neutral low-end it does sound more balanced than before. If you are used to the older Ether C before the new sound is also going to sound the slightly cleaner sound of the two with more mids presence and an excellent vocal performance. Treble notes also have a bit more body and presence but at the same time doesn’t sound that peaky. It is lively but still retains a very refined sound. I did find that the new silver plated OFHC copper VIVO cable to also outperform the DUM cable when using the Ether C Flow post-mod. I have to also remark that this is a much thicker cable but still equally as soft and easy to handle as the previous DUM cable. Thank you also, Dan, for killing off the heat-shrink electrical tape wrap and bringing in a custom black aluminum metal Y-splitter. Much better! The biggest tonal difference between the two cables seems to focus on the harmonic balance, particularly in the upper mids and lower treble where the VIVO sounded more refined and natural to my ear whereas the older DUM cable had a slightly harder edge to vocals and percussion timbre. The second big difference was in the dynamic range performance. Not only in how it improved the low-end definition and snap but also delivering a slightly blacker background and more spacing around vocals as a result. Micro-details are much easier to pick up as a result. The white pads bring in a little more mid-bass presence and warmth than without pads as well as more lower-midrange instrumental body and impact. The tone is a little less reference like and not as cool in the timbre as the stock without any pads. The white pads retain the stock open sound for me in the mids but also add a little more even harmonic lilt and sustain to vocal presentations so they sound a toucher richer and thicker which is very much to my liking. Treble also gets a bit more body but is not as lively as the stock sound without pads. I think it’s a healthy compromise and my favorite tuning out of all the pads. The stiffer black pads enhance the upper mids and lower treble a little more than the White pads and bring back in some more sub-bass weight. There is a little more mid-bass warmth and some subsequent power and PRaT returns over the stock signature. The vocals are not a forward sounding as the white pads and something I would expect from the enhanced low-end and treble presence. Using the black stiff pads the soundstage has a bit more depth and overall this is a slight return to the more musical sound of the original Ether C Flow but at the cost of pushing the mids back a little again. For me, the foam pads pull down on the upper mids and lower treble a bit more than the stock no pad sound though not quite as much as the other pads. The percussion timbre is a more muted sounding, perhaps smoother to some but to others it has a little less presence and bite. Instrumental and vocal timbre also sound smooth with the foam pads but not quite as clean as the stock sound. They do have a bit more upper mids and treble presence than the white pads which seems to place more focus on the lower mids up to 1-2k. Stick with no pads at all if you want the maximum upper mids and treble presence but if you want something a bit softer then the foam pads are a nice alternative. I have always felt the C Flow was sort of musical antidote to the flatter more linear sound of the original Ether open edition (non-flow). You get a lot more low-end presence and power but at the slight cost of midrange clarity and openness. By taking out the original damping material and putting in what seems to be a lighter more porous paper label on each driver the Ether C Flow becomes a lot more open sounding and also much more coherent because it takes the sting out of that 400Hz dip that some did not like. I suspect it levels the low-end to get that sound because the new version has a reduced level of low-end quantity though it still retains a bit more musicality than the Ether Open edition. Some may find this new sound to also be a touch brighter, slightly less warm even with the enhanced clarity in the mids. For that, you can start working the tuning pads to shape the final sound. 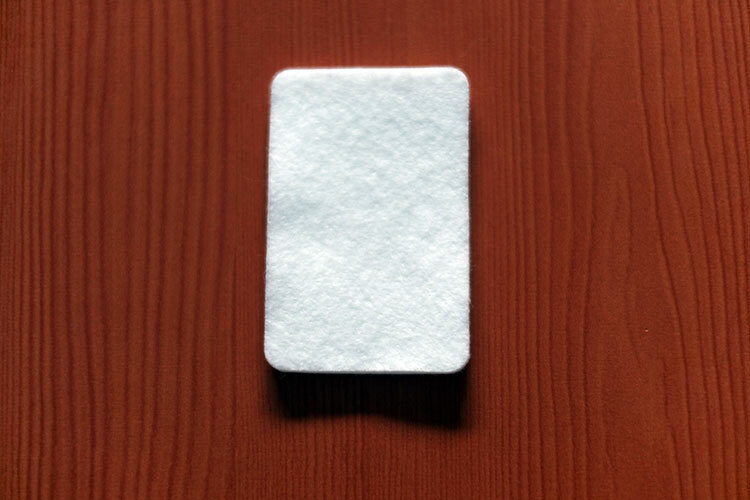 White pads enhance the mids nicely for me with a warmer sound and less treble forwardness. 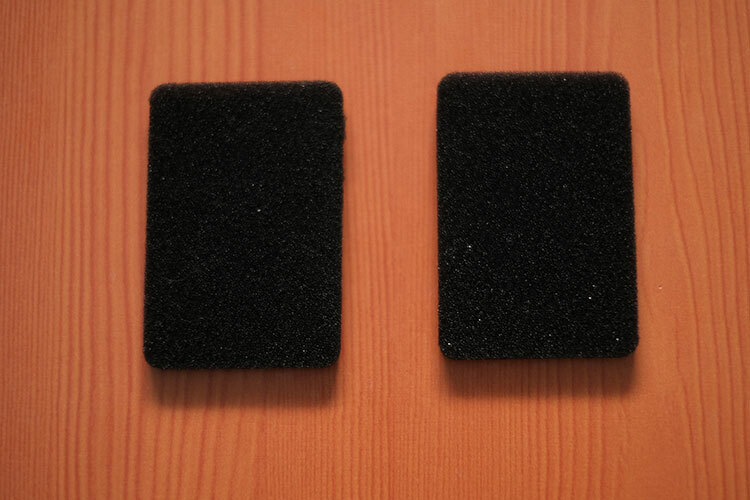 Foams will take makes timbre a little softer than stock but brighter than the white pads and the black stiff pads sit in-between both but with additional sub-bass power. I suggest retaining the original damping material if you feel the more linear bass response is a touch too light. You can always put them back in for the old sound if you wish. Overall, for $30 the tuning kit is a no-brainer for existing Ether C Flow owners out there. Unless you are totally wedded to the original stock sound you will enjoy the more open and balanced sound it can deliver. Welcome to a brand new TOTL headphone for just $30 guys!